Sales, Service, and Social (3:S) are what makes our Dealership 3:S Apps a success. 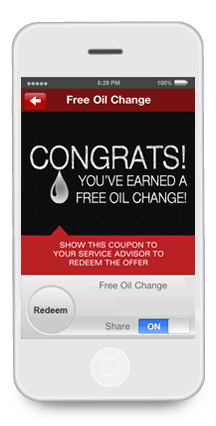 Take control with with your customized App and our Dealership 3:S Strategy. Search for your next Toyota in the palm of your hand! 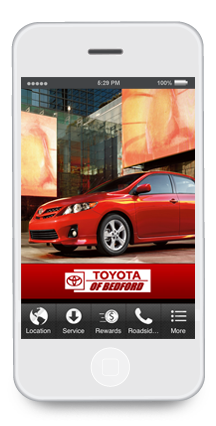 The Toyota of Bedford app allows you to earn rewards, view the full vehicle inventory, schedule service appointments, and call roadside assistance with a touch of a button.